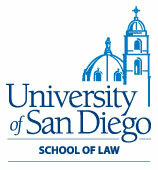 * University of San Diego: Responsible for real estate transactions and advice for respected local university in San Diego; handled several real estate acquisitions of new property for university, as well as providing other ongoing real estate advice and representation to university's representatives in diverse matters such as cell site leasing, rental agreements and facilities leasing contracts, sales of donated property and title insurance matters. * Represented foreclosing lender in the bulk sale of large Orange County "fractured" condominium complex, involving sale of multifamily project consisting of both single family condominiums and units converted to apartments. * Radian Asset Assurance: Represented bond insurer in connection with real estate matters related to several bond transactions, including $28,875,000 bond financing by the City of Los Angeles Housing Authority; $28,700,000 bond financing by Casa de las Campanas senior housing facility in San Diego County; and $27,000,000 bond financing by the University of Southern Nevada. * National Bank of Arizona: Oversaw real estate aspects involved in sale of eleven California bank branch locations of Stockmen's Bank in California's Central Valley, including fee transfers and leasehold assignments. * National Power/Big Valley Power: Primarily responsible for analysis and resolution of complex title issues related to refinancing and obtaining title insurance coverage of a biomass power facility and transmission line spanning two counties in Northern California. * ArcLight Capital Partners: Handled real estate matters associated with complex $135,000,000 debt refinancing by client engaged in natural gas production and distribution in Central Valley of California; matter involved particularly complex title insurance and easement issues. * Alfred Karcher GMBH & Co.: Represented large German corporation in connection with the sale of its manufacturing facility in Los Angeles County. * Multiple-year representation of developers of two large-scale Northern San Diego County residential and resort communities known as Aviara and Kelly Ranch, including numerous purchase and sale transactions with related title and escrow issues, map compliance issues and documents, resort-related documents, California Coastal Commission documents, real estate brokerage matters and name protection issues. * Along with a Duane Morris multi-office team, represented the agent bank in a syndicated acquisition financing of in excess of $350 million involving over 80 borrowers, and over 70 parcels of real estate in over 10 states. * Represented diverse property owners, including a financial institution, a winery, a university, and a nonprofit corporation, in connection with negotiation and documentation of cell site leases and licenses of their facilities. * Represented large medical group in negotiation and documentation of full-floor office lease. * Served as General Counsel for four years to a large public university's alumni association, addressing varied transactional and other legal issues of a non-profit university-affiliated organization. Julie S. Mebane practices in the area of real estate law, with particular emphasis upon commercial real estate purchases, sales, loans and secured lending, and commercial, industrial and office leases. Mebane has related experience in compliance with mapping and other development conditions, escrows, title issues, redevelopment projects, hazardous materials, easement concerns, and property license agreements. She has represented a diverse base of clients, including large corporate developers, educational institutions, public utility and power companies, landlords and tenants, owners of smaller real estate portfolios, single-property investors and developers, and high-end residential buyers and sellers. In one particularly challenging and long-term engagement, Mebane was responsible for a variety of legal services for a new master-planned community in northern San Diego county. The master plan included both residential and resort components: residential homes, church, park, and school sites, a major hotel, and a golf course. Mebane's involvement continued as these components were sold to merchant builders and other entities over a period of years, and also covered trademark issues which arose in connection with the marketing of the project. Mebane has also overseen the legal issues in the development, purchase, and sales of a number of downtown San Diego office buildings. She has done substantial real estate work for a local university on a wide range of matters. Annually from 2005 through 2011, Mebane has been named to the list of The Daily Transcript's Top Attorneys in the category of Real Estate/Construction. 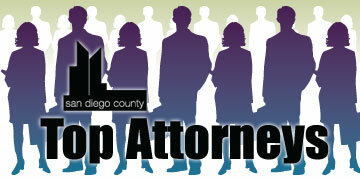 In 2007 and 2008, she was named as one of the "Top 25 Women Super Lawyers" in San Diego and was named from 2007 through 2011 as a Super Lawyer in the Real Estate law practice area. Her civic involvements have included acting as the volunteer general counsel for the UCLA Alumni Association and being a member of the board of directors for the San Diego chapter of the National Association of Women Business Owners. Mebane was selected for membership in The Counselors of Real Estate (CRE) in 2009, and she is a sustaining member of and actively involved in the Lawyers Club of San Diego.